T.Puzzle asked me if Santa knew everything. I told him Santa knew a lot but maybe not everything. He pondered this a moment. Thankfully, T.Puzzle left it at that. 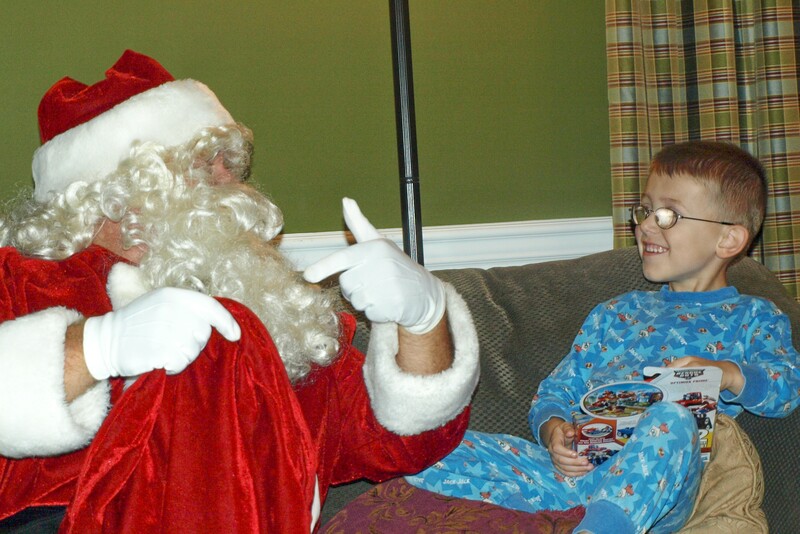 T.Puzzle with Santa before he began to question Santa's overall knowledge base. Next post‘Left Out’ Has How Many Syllables?